Hi everyone! This week seemed to fly by thanks to a holiday on Monday, but I'm ready for the weekend! I have a few things going on so I should be busy once again. I can't wait to let you all know what I'm up to on Monday! I have lots of goodies to share with you today, and I would love to hear what you're loving lately in the comments. Have a great weekend everyone! I love having some kind of chocolate treat at work just in case I get a craving or need a snack, and randomly picked up a pack of Brookside Crunch Clusters at CVS this week. I love the combination of dark chocolate with the dried fruit and nuts. So delicious! The chocolate is really rich too so I can only have a handful and satisfy that sweet tooth for a while! I also found these on Amazon if you're interested in trying them out. Warning- you may get addicted! Believe it or not- I just made my first trip out to Whole Foods earlier this week! For some reason I always avoided it because the parking lot by my old apartment was always packed and it just looked like a pain. There's a different one by our house now, and I finally decided to try it out! I had a great shopping trip and picked up all kinds of different and interesting foods, like kimchi, miso ginger dressing (my new favorite!!) and portobello truffle salmon burgers. If you follow me on snapchat (gretchxo), you might have seen me make this amazing salad earlier this week! I found the recipe on Pioneer Woman, and it is absolutely amazing. I'm a big fan of orzo salads for pot luck side dishes, because they're quick and easy to throw together and don't need to be heated up (or constantly refrigerated). This one has an amazing combination of flavors, which I kicked up a bit by adding balsamic vinegar to the dressing. So good! As sad as I was to say goodbye to my favorite shows (DWTS, The Voice, Quantico) I'm SO excited for summer TV! 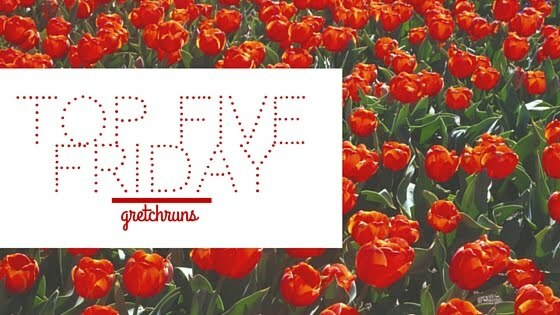 Some of my current favorites are So You Think You Can Dance, America's Got Talent, The Bachelorette, UNREAL (aka my favorite show), and the upcoming Big Brother! I'm share some thoughts on the shows next Friday, but for now I'm just happy there's so much trash TV to enjoy right now. Of course I have to mention this! The Penguins made it to the Stanley Cup Playoffs this year and are off to a great start! This is a best of 7 game series, and the Pens took the first two games at home. There's still a lot of hockey left to play, but it's been an amazing playoffs so far this year! The only downside is that the games start late, so waking up for work the next day is rough! Are you watching any playoffs right now? What summer shows are your favorites? I can't have Brookside things around me. It's a can't stop, won't stop, situation. Have a great weekend, Gretch! Loving Pens hockey!!!! Can't wait for tomorrow night's game. I can finally stay up to watch the whole thing haha. And, I love watching Big Brother in the summers! Ugh these playoffs are wrecking havoc on my sleep schedule lol! I am absolutely not watching the playoffs now! lol. Hate to say, I am rooting for the sharks and they are disappointing me so far! I'm not a Hockey fan and unfortunately all my favorite shows are off for the summer..boo! I love those brookside things too! Those burgers sound amazing! I usually avoid whole foods because the one near me is always a mob scene like disaster zone filled with people always...ugh! Yesss...Whole Foods are always SO full. WHY!? I'll definitely be watching The Bachelorette this summer! I also love Bravo and am really excited for The Real Housewives of OC to start soon. I'm so behind in all the Housewives...I love the OC one though! I don't watch hockey much anymore but I used to, for years and I loved it when the Canucks made it to the playoffs and then the Stanley cup--it transforms the whole city and gives it so much energy. SO FUN! NO I don't want to check! Lol then I'll want them all the time and that just sounds expensive and dangerous. It seems like everything Brookside makes is absolutely delicious! A lot of my shows are off for the summer which is a shame! Now I'm just waiting for Suits to start a new season this summer! I love whole foods, I used to live right next to one which was dangerous because they have so many fun, unique foods to try. I'm watching MTV's The Challenge (trashy but I love it!) and actually convinced my husband to watch all 7 seasons of Gilmore Girls. Those late playoffs games are killing me but oh so worth it- super excited for a Saturday night game so I won't have trouble staying awake, haha! Aw man I used to love that show when I was younger!! Oh man UNReal is soooooo good! I'm excited for it to return. Do you listen to Here to Make Friends? This week they interviewed the creator and writer of the show and it was super interesting. YES I love that podcast! One of my favorites. Ahh can't believe you have lived this long without a trip to Whole Foods....hopefully you don't get addicted like me! It is not too good on the wallet! Have a great weekend! I kind of already am addicted :( It's so good!! Your Pens kicked my Lightning out of the playoffs so I stopped watching ;) And YAY for Whole Foods! Go Penguins!!!!! 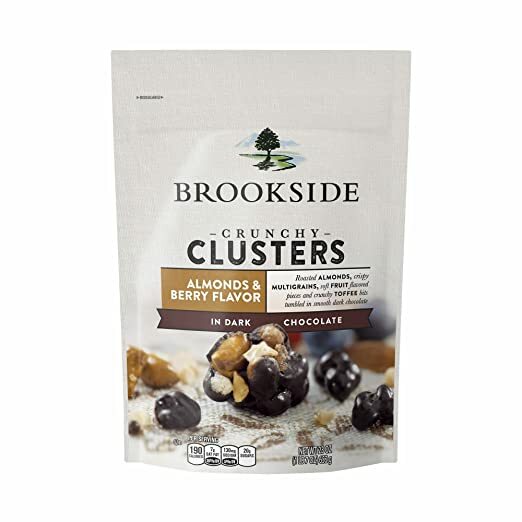 Those Brookside Crunch Clusters look so good! I like their chocolate covered fruit so I will have to try these next. Love Whole Foods but the one closest to me is still 40 minutes away. Ugh! Hope you have a great weekend! Aw man they are SO good..you'll love them! 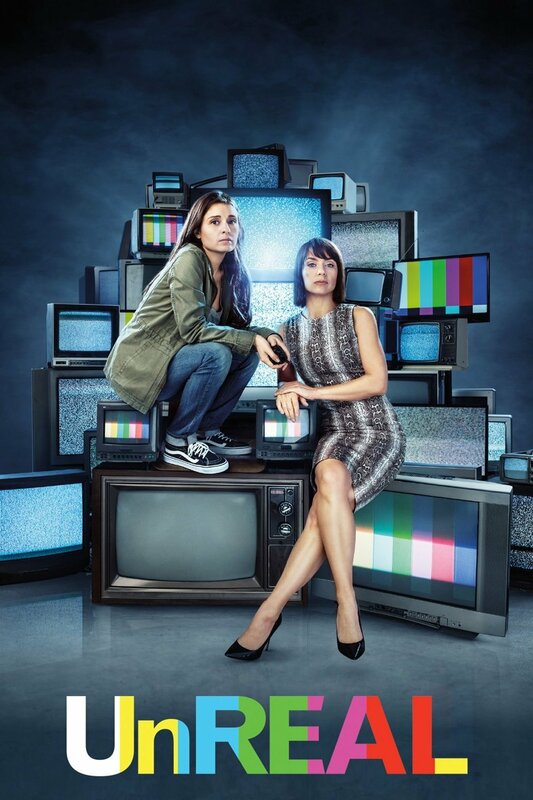 I reaaaally need to convince Jesse to watch UnREAL! We're serious tragics when it comes to tv shows as we just binge watch them one by one until we have nothing left to watch, haha! THAT GINGER MISO DRESSING THOUGH. When I was pregnant I randomly went to a Whole Foods and found it - I was craving that hibachi dressing and it tastes JUST like it!! Oh my gosh it's so good!